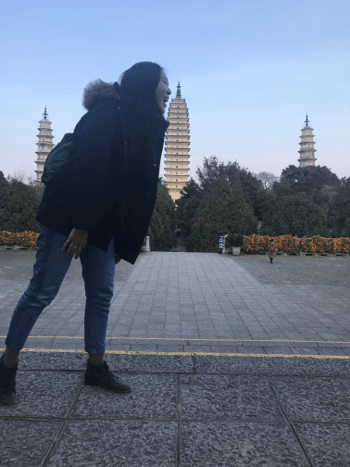 After finishing a semester abroad in Shanghai, I had the whole of February free to travel through as much of China as I could. 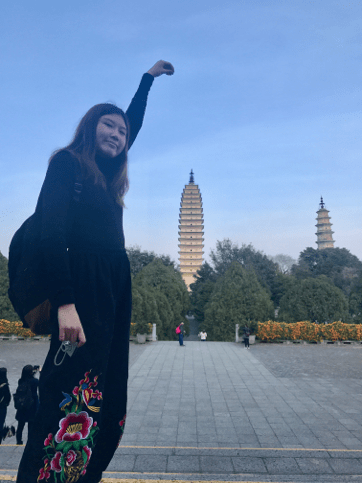 A fellow Perth girl and UWA student that I had met during my time at Fudan University, Emmelyn, was just as keen as I was to explore the various fascinating provinces surrounding our host city. After checking online, we realised travelling was possible despite the sad nature of our bank accounts- hostels were about 30 RMB (6 bucks) a night, and train tickets within provinces was roughly 60 RMB (12 bucks). 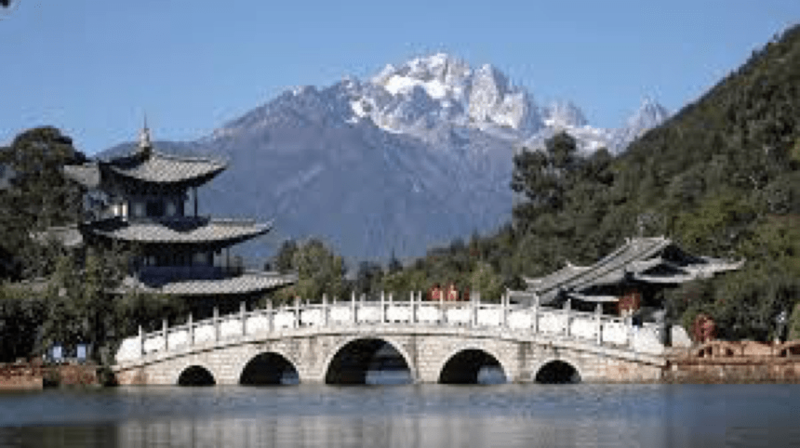 So, in an act of pure spontaneity, we booked two plane tickets to Lijiang, Yunnan in Eastern China. I packed my bag at 1pm and left for the airport an hour later. We had no itinerary and no clue what we would do once we were there. 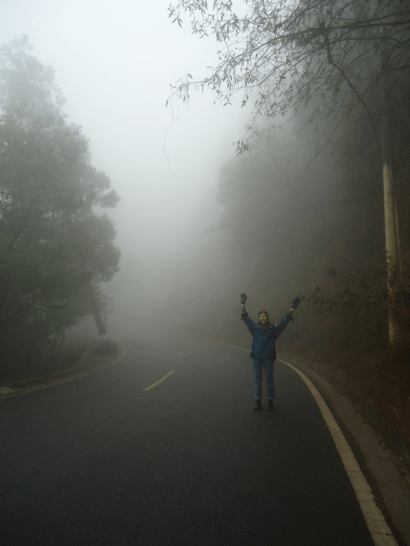 The next morning our lovely hotel owner told us everything was so foggy that we wouldn’t be able to witness any of the beautiful scenery Lijiang was known for. What we thought we’d see. Things were glum; spirits were low – clearly this spontaneous travel decision backfired and the money we’d spent had been a waste. Then, out of the blue we see a beautiful dog perched on a bench inside the Old Town of Lijiang. Miraculously after this encounter, the skies cleared, the clouds parted, and the by the afternoon, it was sunny enough to see silhouettes of Jade Snow Mountain. 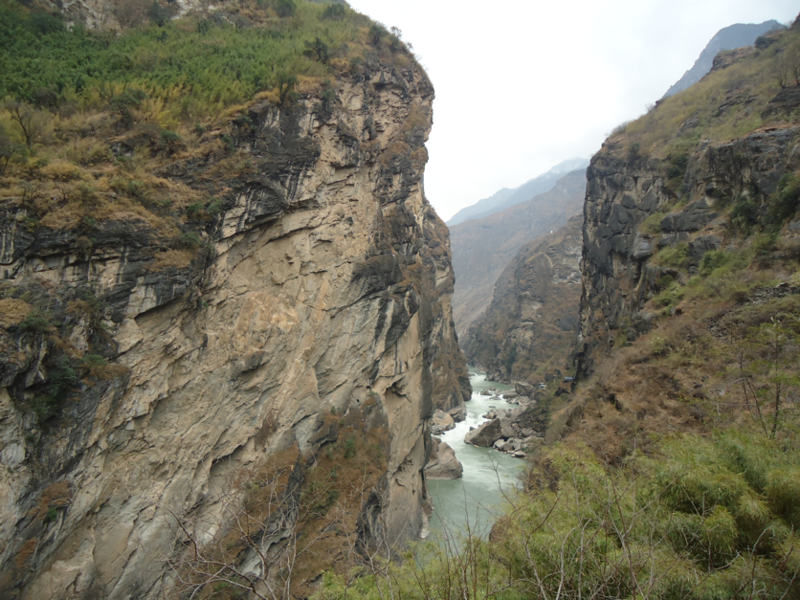 During our second day in Lijiang, we travelled an hour from the city to Tiger Leaping Gorge, a canyon about 15 kilometres in length, and mostly inhabited by the Indigenous Naxi people of the region. 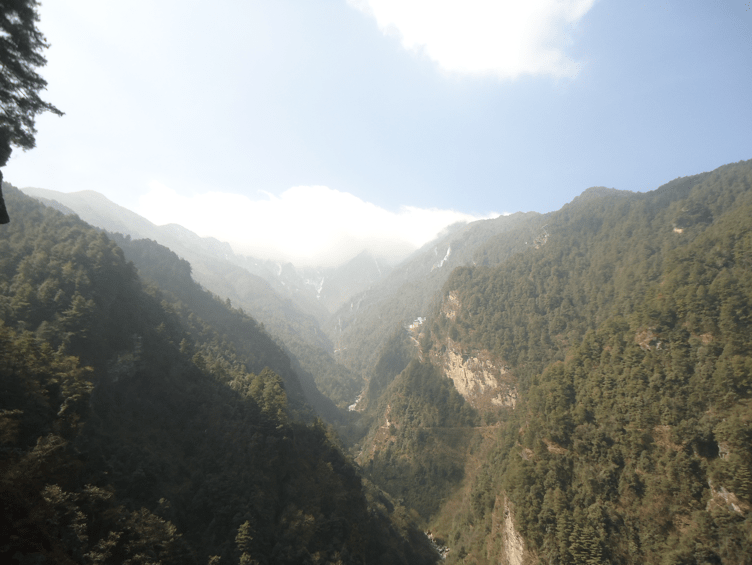 After taking our time and admiring the view as we hiked down the gorge, we realised that we actually needed to make the trip back uphill in half the time it took us to climb down in order to catch the bus that would take us home. We had heard there was a route back up the mountain that was much faster. Inquiring what this faster route was, local workers on the mountain replied, ‘梯子’, which means ladder. They weren’t joking when they said ladder. The ladders were made by local families that lived close to the gorge and the whole project was funded out of pocket. Em and I exchanged brief words about how unlikely it was that the ladders would break and we’d die. So, with the pressing urgency to make it on the bus in time, we took four flights of wooden ladders back up the mountain and ran another one 1km uphill until we reached the bus stop. We slept an hour on the bus and headed for the train station to visit the next stop on our poorly planned trip: Dali. The moment I genuinely considered being left behind by the bus and sleeping on the side of the road. 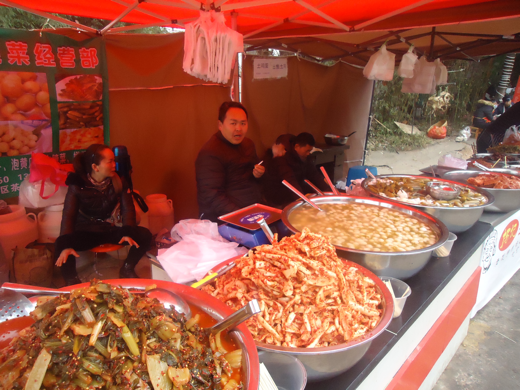 China is a wonderful place to be if you’re the type of person to get peckish very often. 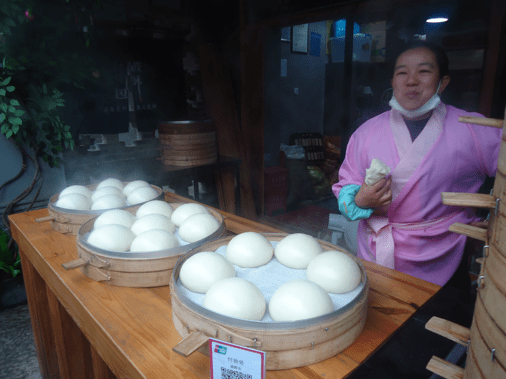 Most streets will be lined with bao shops, or tiny noodle stalls. 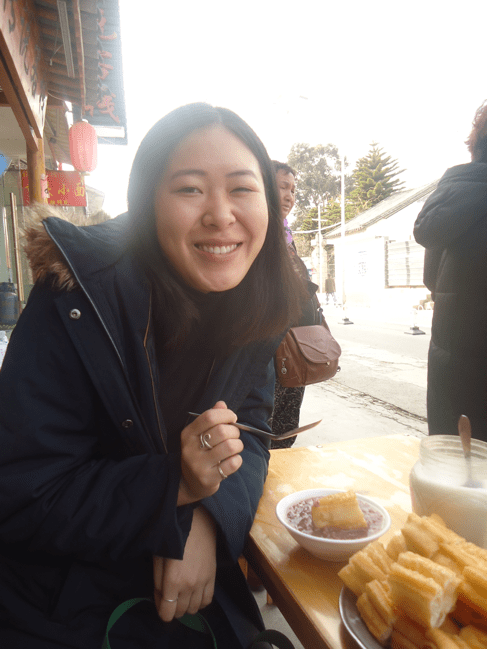 On our first morning in Dali, Em and I ventured out from our hostel for less than two minutes before we saw a breakfast shop selling congee, buns, youtiao, mantou, and just about any Chinese breakfast item you can think of. 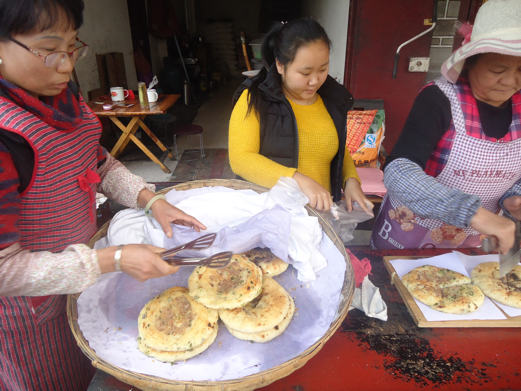 From breakfast, we walked 40 minutes to Erhai Lake and the Ancient town of Dali- which was a system of old streets and lanes that had been transformed into a marketplace that showcased the culture of the Bai people- an ethnic group in Dali. We discovered that tie dye is another tradition of the Bai people- specifically patterns with a combination of blue and white. 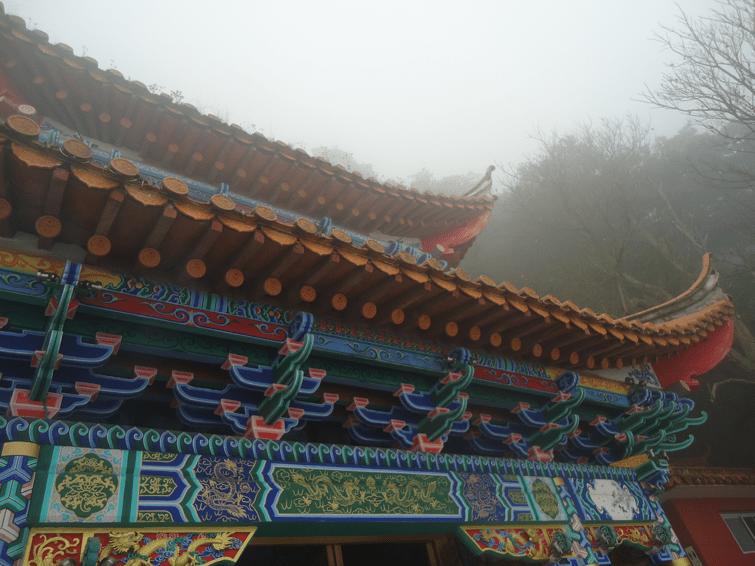 Blue, being symbolic of the Yunnan province’s scenery, and white, with its meanings of purity (‘Bai’ actually translates to white in English). Walking around the town, we realised from the numerous food stalls that Yunnan cuisine incorporated flowers into many of their dishes. Rose petal jam, rose infused pancakes, lilies stir-fried with eggs, or jasmine kneaded into dough- flowers apparently act as a natural sweetener to foods. Overall, Dali’s food game was strong- the savoury rose pancakes being a particular hit. The greatest disappointment of the trip was excitedly finding a store claiming to make sweet potato noodles- but then discovering it was closed for Chinese New Year. After climbing down the other side it was back to the hostel to pack, and then a mad rush to the train station to catch our ride to our next stop. The train was insanely crowded, there is almost no leg room, let alone room for our luggage. All the luggage racks are completely full so Em and I place our things on our lap, at our feet, and on the small table shared between us and the passengers sitting across from us. One man stands on his seat because there is genuinely no room on the floor. The next seven hours are interesting to say the least. At the time, taking an overnight seven hour train ride to the city of Kunming seemed like a brilliant idea- saving on accommodation for a night, sweet! Having slept less than an hour of those seven hours makes the decision seem idiotic in hindsight. Em and I arrive in our next city at 6am, both of us having had almost no sleep and no leg room. After finding our hostel, the plan was to check in our luggage and head out immediately to Dragon Gate, or Western Mountains, but both of us are so sleep deprived we decide to indulge ourselves in an extra hour of sleep on the tables of the hostel lobby. At 8am, our phone alarms go off, we wipe the drool off our chin and head for mountain number three of the trip. At the base of Dragon Gate is a lantern-lit lane adorned with food stands of all varieties. Potatoes on sticks, toffee on sticks, rice pancakes, and buckets upon buckets of spicy everything. Once we actually begin our trek, we realise that once again the clouds and mist prevent us from seeing anything the higher and higher we climb. Once we reach the peak, the view is just a pure wall of white. 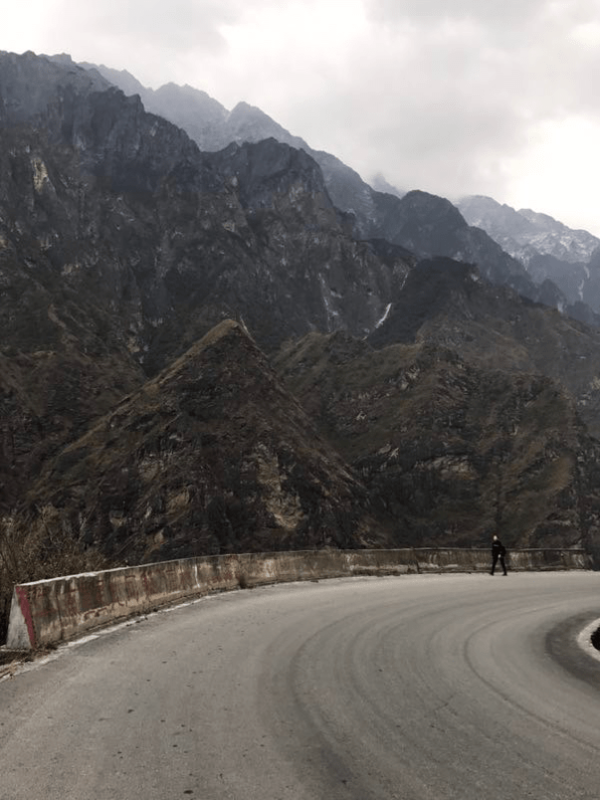 The mountain is lined with temples and caves at different levels of the climb- the Lianhaichu, the Ciyun Cave, the Yunhua Cave, and the Datian Pavillion. These beautiful structures were built across almost a century- from 1781 to 1853, and the actual Dragon Gate itself consists of three parts: a stone archway, a platform, and various sculptures- all of it carved from the one rock. On the way back down, everyone touches the the top of the archway as a means of good fortune. 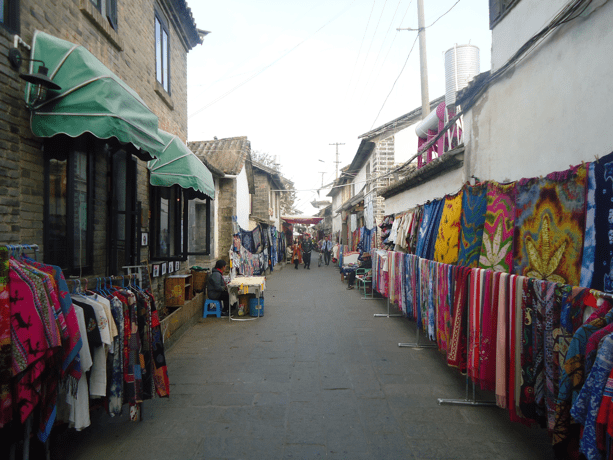 After the hike back down the mountain, we head to the old town of Kunming and find similar shops to the ones in Lijiang and Dali. Em and I encounter more local clothing and embroidery stalls. After entering one and browsing around, I discover a sick pattern on a pair of shorts- the only problem is, the shorts are much longer than your average summer shorts. I debate the merits of buying the shorts- voicing my concerns to Em that I might look like a tradie, but she assures me that long shorts, or ‘lorts’ as she dubbed them, were quickly becoming a fashion statement. With no changing room available, my purchase was a bit of a risk, but it seemed like the right decision at the time. Trying on the lorts later that night in our hostel room, we both realised that I simply looked like I was wearing board shorts and that the purchase was a terrible investment. 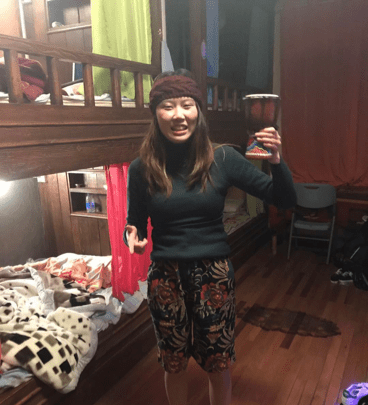 So, main takeaways from Kunming after 24 hours: sleep an sufficient amount (not an hour) before climbing Dragon Gate, and don’t buy long shorts without trying them on first because they might look like boardies.